Her works often feature women who meet your gaze head-on, with inscrutable expressions, both powerful and beautiful — and that's the idea. 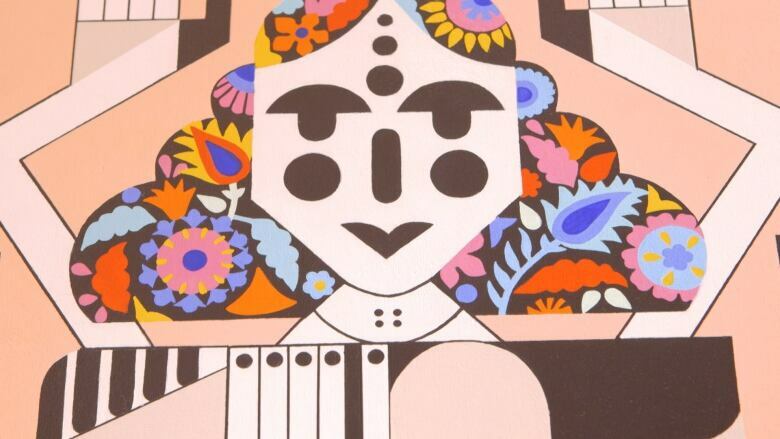 Sandeep Johal's works often feature women who meet your gaze head-on, with inscrutable expressions, both powerful and beautiful — and that's the idea. The artist has been creating these works, called Rest in Power, for a little while now. All of the women featured in the series are victims of gender-based violence — honour killings and domestic abuse. Johal pays respect to their stories by transforming them into goddesses. She explains, "If I'm honouring someone, I want them to be seen in this lens of beauty — especially if they're no longer with us." 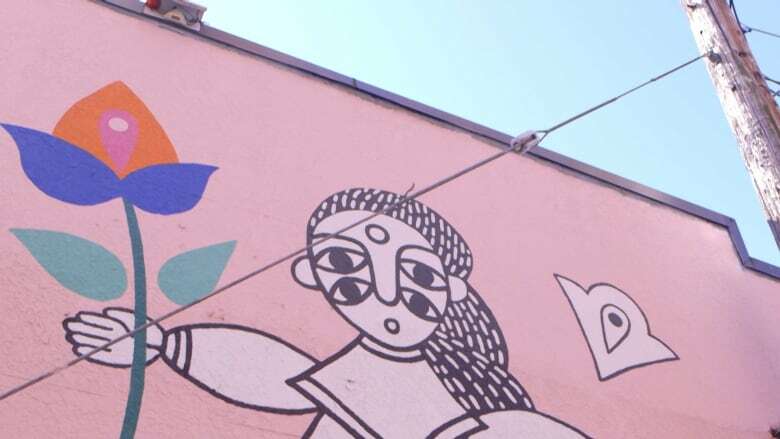 Johal's work has been seen in galleries, but often her art takes up public space in the form of murals. That's a deliberate act; as she says, "I want to have these women out in the public. I want them taking up space. I want people to see them and be that kind of reminder that we're here, we're taking up space, we deserve to be here." 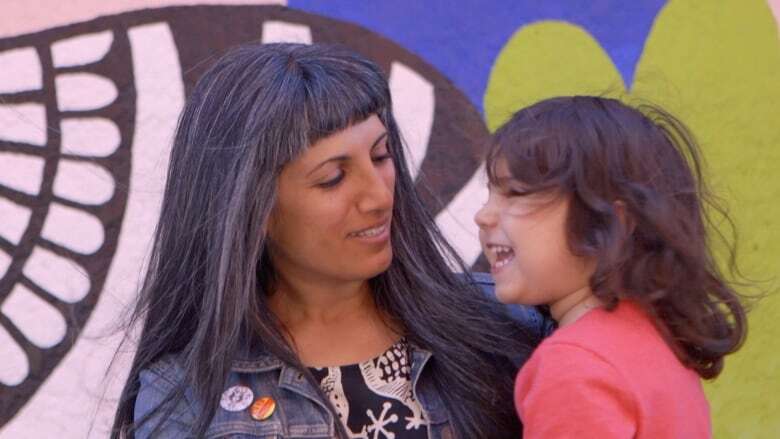 In this video, Johal explains why making this work means so much to her. 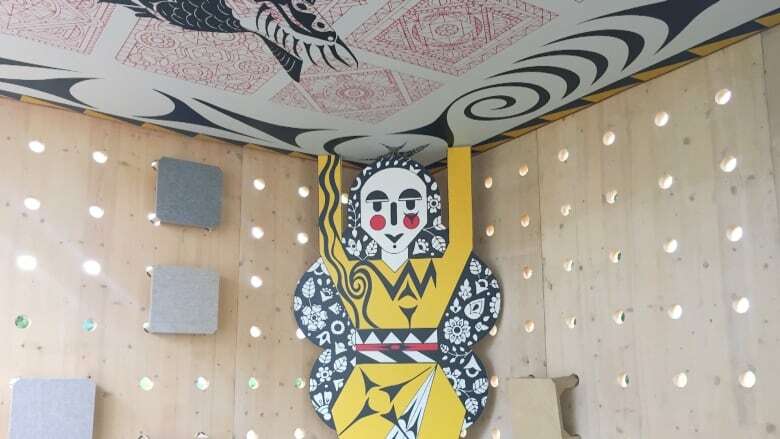 Most recently, Johal was the artist in residence at the Indian Summer Festival, where she collaborated with Musqueam weaver Debra Sparrow on Starweaver, the figure of a goddess whose hands reach toward the sky, on the wall of the festival's Pause Pavilion in Vancouver's Vanier Park. She'll be teaching the Wisdom Stones Workshop during the festival, in which she'll guide participants to paint stones that can become their own talismans. And she does all of this while raising a son who, she hopes, will be an ally to women throughout his life. 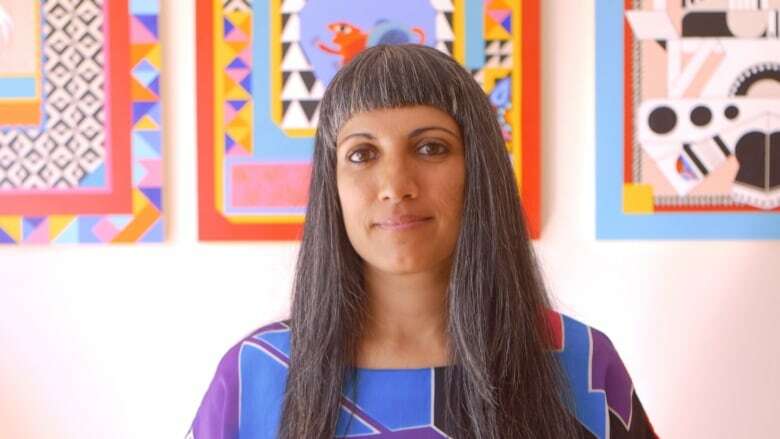 Follow Sandeep Johal and see her work as part of Indian Summer Festival in Vancouver until July 15. 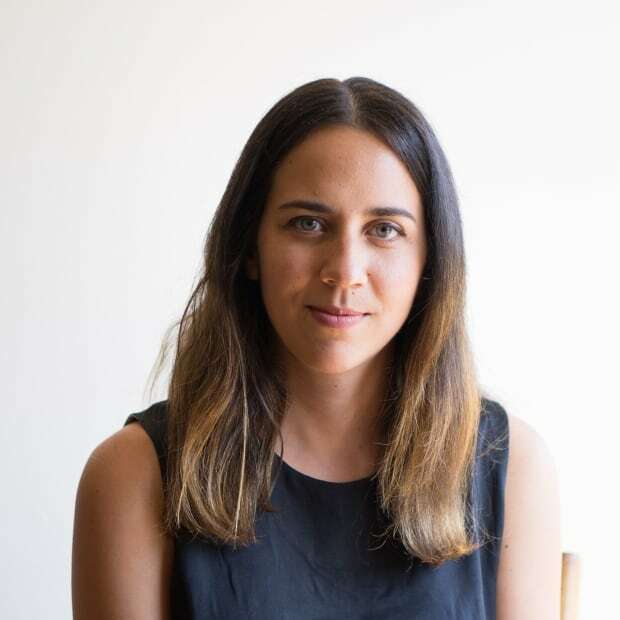 Milena Salazar is a Costa Rican documentary filmmaker based in Vancouver, on unceded Coast Salish territory. She is fascinated with portraying internal landscapes, and how artists express their imagination into the world.